The color is amazing – it is stop motion. Using a translator within the movie to translate to English speaking audience = genius! This first part of the movie devastated my heart but redemption is amazing. I watched The Fantastic Mr. Fox after this one (same director, Wes Anderson). What an amazing way to tell a stories => stop motion is next level. I felt as if I was watching this feature through the eyes of a child. There were, of course, some language barriers. I cared not. The “in the movie translator” was all I needed. I am in awe of the inventive way that Wes Anderson was able to weave this story of dogs quarantined (and forgotten) to an island of trash. And the young boy who searches for his favorite pup. Had this been up in any other year I would have given it two thumbs up as the one who needs to win the Oscar. However, it is up against Spiderverse and that movie just blew me away. I loved this movie. Will own it and Mr Fox both. Have you seen it? What were your thoughts? 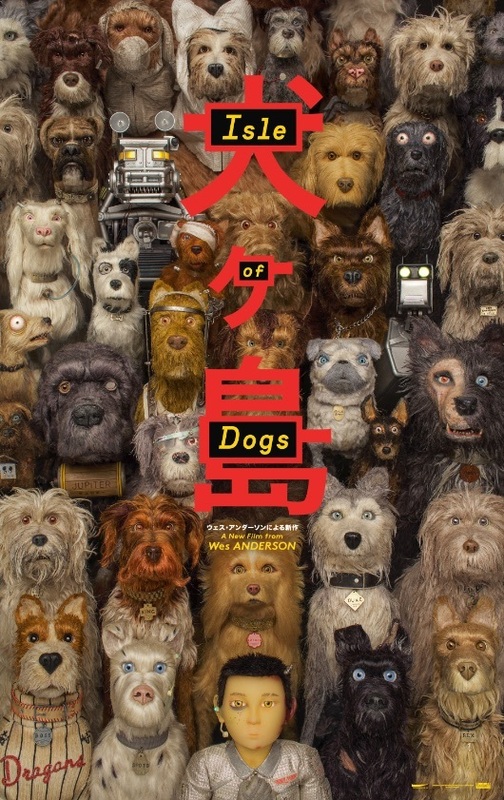 IMDB Synopsis: Set in Japan, Isle of Dogs follows a boy’s odyssey in search of his lost dog. I rank this movie a 98.74! It received a Rotten Tomatoes rating of 90% Fresh. It received a Rotten Tomato audience rating of 88% liking it. Average Rating: 4.1/5 with a number of User Ratings: 7,801. The hair of the dogs is made out of alpaca wool. Writer and director Wes Anderson hosted a competition for someone to be a member of the voice cast for this film. The only requirement was that they donated ten dollars or more to the Film Foundation, a non-profit founded by Martin Scorsese, which specializes in the preservation and restoration of film around the world. Jeff Goldblum recorded his lines over the phone in California. Because of scheduling conflicts, he could not go to England to record his lines with the rest of the cast. As of 2018, since his debut film Bottle Rocket (1996), director Wes Anderson had used one cinematographer for his live-action films (Robert D. Yeoman), and one for his stop-motion films (Tristan Oliver). All the shots in the movie have straight on camera angle, either horizontal or vertical as it moves only 90 degrees. Also, all the buildings, characters are viewed from either straight on, side on or above. A sumo wrestling match is briefly shown in the film. At the conclusion of the match, small seat cushions called “zabuton” are seen being thrown onto the ring. In sumo, this only occurs when a yokozuna (the highest rank of wrestler) is beaten. Some viewers theorize that this is a reference to a 2011 match-fixing scandal in Japanese sumo. The same corrupt sumo wrestlers are later seen with Mayor Kobayashi. The scene in which Chief is given a bath and comes out with a completely different appearance is an homage to the picture book “Harry The Dirty Dog”, in which children “find” their lost dog by giving a bath to what they think is a stray. Chief even has similar markings to Harry. The music during some of the sad scenes, most notably when Atari thinks he is burying Spot, is a song taken from Akira Kurosawa’s “Seven Samurai” (1954), also used in some of the earlier film’s most bitter and sad moments.